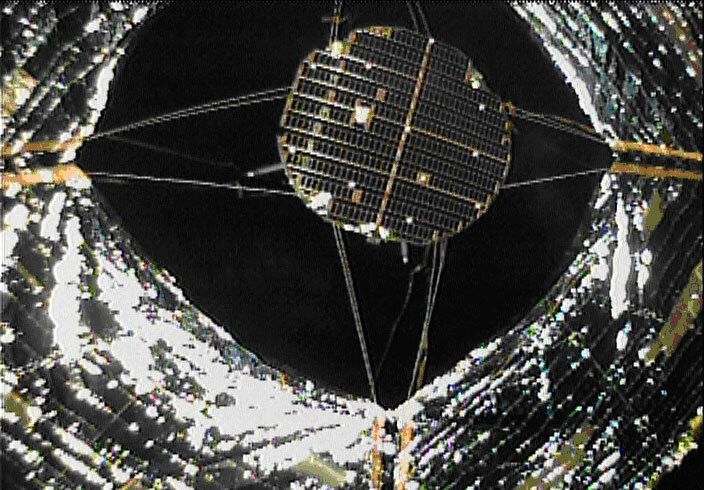 The Japan Aerospace Exploration Agency (JAXA) successfully took images of the whole solar sail of the Small Solar Power Sail Demonstrator "IKAROS" after its deployment of a separation camera* on June 15 (Japan Standard Time, JST.) The IKAROS was launched on May 21, 2010 (JST) from the Tanegashima Space Center. *The separation camera is in a cylindrical shape of about 6 cm both in diameter and height. It is detached from the satellite using a spring to take images and sent them to the satellite through radio waves. The camera will never return to the satellite to be attached again. 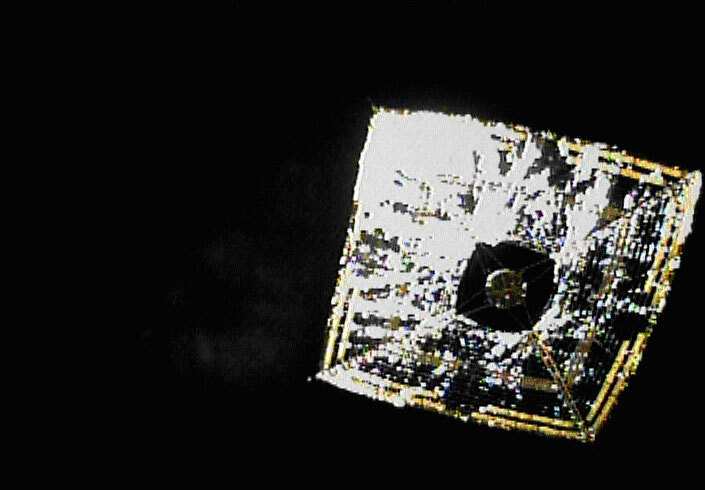 The images taken this time were distant ones covering from the upper stage to the lower stage. For image shooting by the camera, please refer to the computer graphics on the following site.